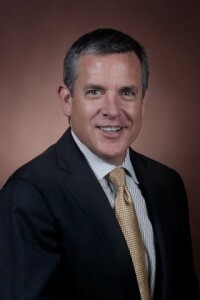 A guest post by Steve Russell, vice president of the American Chemistry Council’s Plastics Division. Has this happened to you? You’re at a dinner party or family gathering or neighborhood get-together. Someone asks you what you do. A conversation about plastics ensues. And you struggle to find a really simple way to explain plastics’ many benefits and contributions to sustainability. I’m guessing we’ve all been there. And the answer just got easier to explain. A new study by the environmental consulting firm Trucost uses “natural capital accounting” methods that measure and value environmental impacts, such as consumption of water and emissions to air, land, and water. The authors describe it as the largest natural capital cost study ever conducted for the plastics manufacturing sector. The results? “Plastics and Sustainability: A Valuation of Environmental Benefits, Costs, and Opportunities for Continuous Improvement,” finds that the environmental cost of using plastics in consumer goods and packaging is nearly four times less than if plastics were replaced with alternative materials. Trucost found that replacing plastics with alternatives would increase environmental costs associated with consumer goods from $139 billion to $533 billion annually. Why is that? Predominantly because strong, lightweight plastics help us do more with less material, which provides environmental benefits throughout the lifecycle of plastic products and packaging. While the environmental costs of alternative materials can be slightly lower per ton of production, they are greater in aggregate due to the much larger quantities of material needed to fulfill the same purposes as plastics. Think about it. Every day, strong, lightweight plastics allow us to ship more product with less packaging, enable our vehicles to travel further on a gallon of gas, and extend the shelf-life of healthful foods and beverages. And all of these things help reduce energy use, carbon emissions, and waste. This new study follows an earlier report called “Valuing Plastics (2014)” that Trucost conducted for the United Nation’s Environment Programme (UNEP). “Valuing Plastics” was Trucost’s first examination of environmental cost of using plastics. While clearly an important study, it begged the key question: compared to what? After all, consumer goods need to be made out of something. So ACC’s Plastics Division commissioned Trucost to compare the environmental costs of using plastics to alternative materials, as well as to identify opportunities to help plastics makers lower the environmental costs of using plastics. The expanded study also broadened the scope of the earlier work to include use and transportation, thus providing a more complete picture of the full life cycle of products and packaging. We see “Plastics and Sustainability” as a contribution to the burgeoning and vital global discussion on sustainability. Like any single study, it doesn’t “prove” that plastics are always better for the environment than alternatives. But it is an important study based on a rigorous and transparent methodology. And it provides a fuller picture of the environmental benefits of using plastics. “Plastics and Sustainability” provides the plastics value chain with important information on plastics and sustainability so that we all can make better decisions. The entire plastics value chain is engaged in discussions with policymakers, brand owners, retailers, recyclers – and consumers – about how to be good corporate citizens and contribute to sustainability. A better understanding of the life cycle of materials will better inform these discussions and should lead all of us to more sustainable materials management decisions. This study’s findings also will help inform us how to further reduce the environmental cost of plastics. In other words, making smart choices about what we produce and how we produce it will benefit people and the planet. You can find more information about the Trucost study and some interesting visualizations of the findings here.